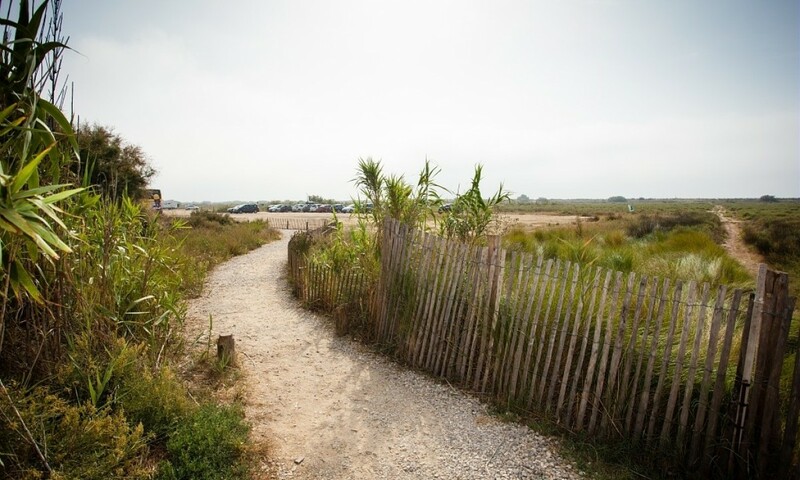 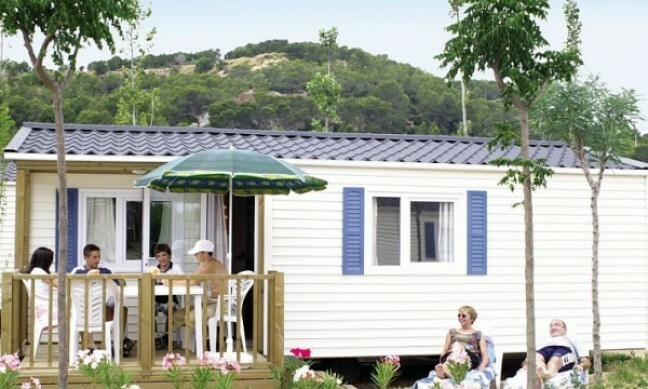 Just 500 metres from a huge sandy beach, Les Sablines is one of the top campsites on the Languedoc Coast. 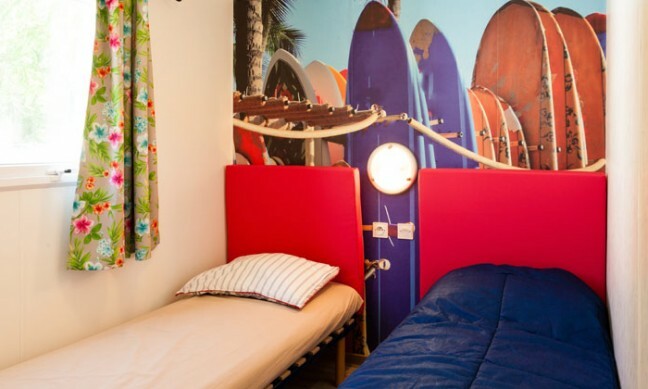 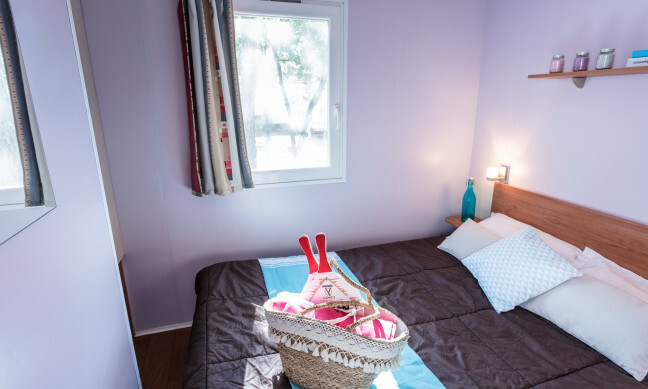 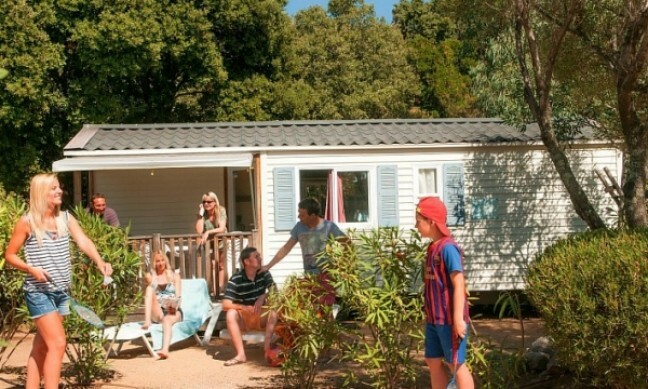 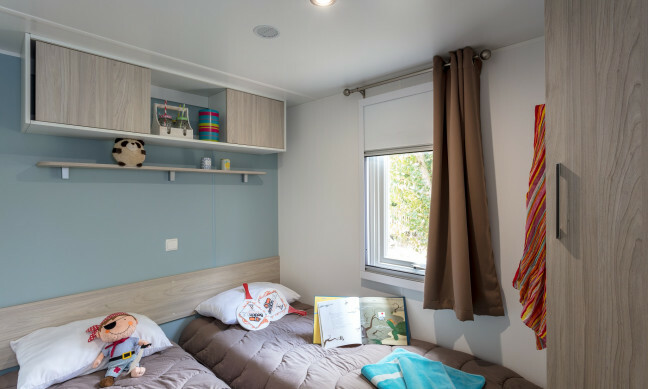 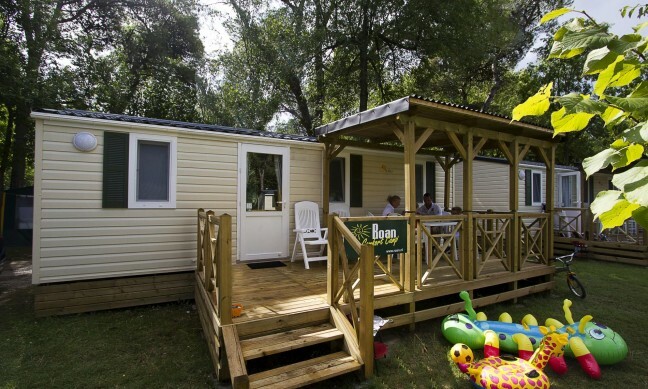 Offering family-friendly luxury camping, Les Sablines has a water park and is close to natural attractions and outdoor activities in the Languedoc countryside. 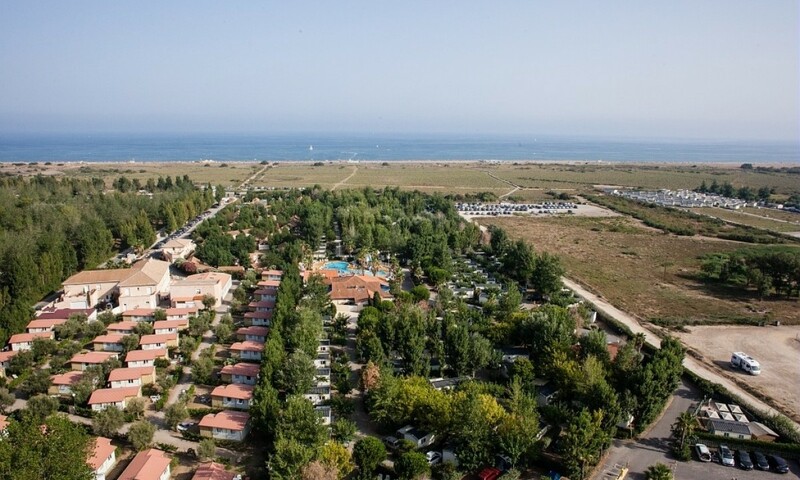 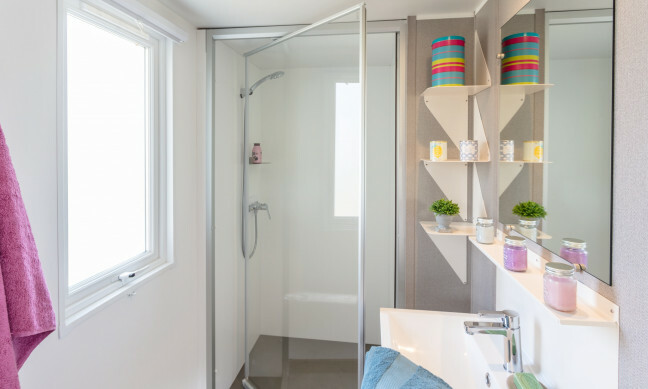 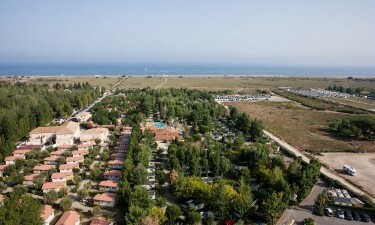 As well as direct access to the expansive beach, which is separated from the campsite by sandy dunes, holidaymakers at Les Sablines can enjoy the water park. 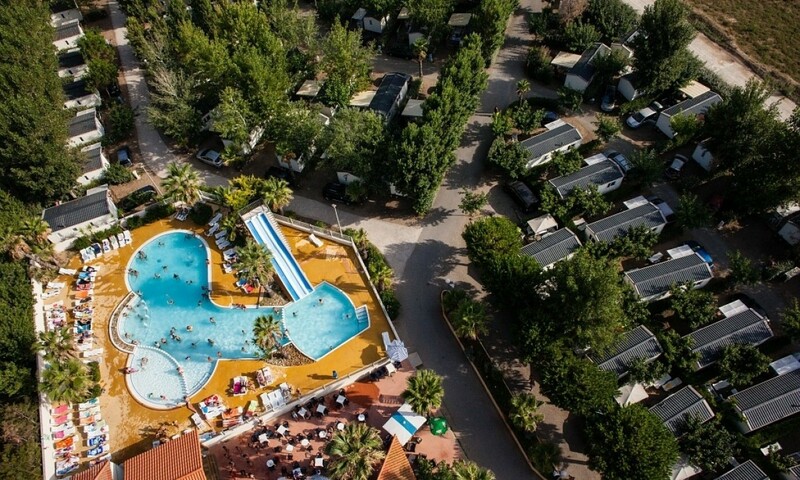 The aquatic area has a large outdoor, heated swimming pool, two water slides, and a paddling pool. 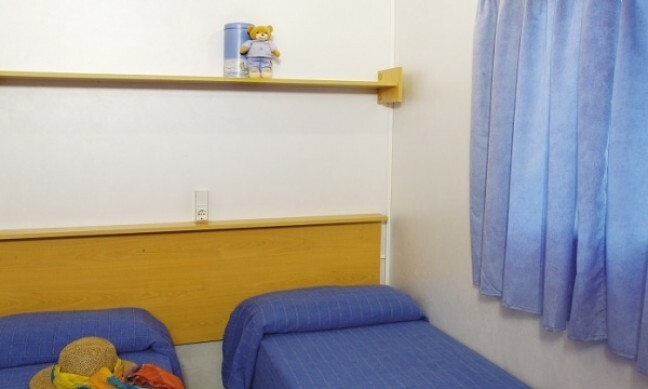 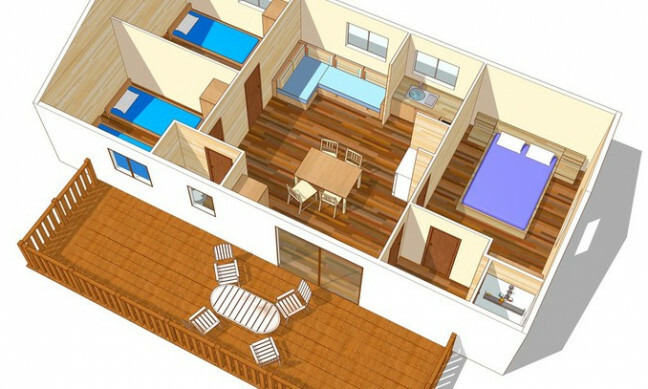 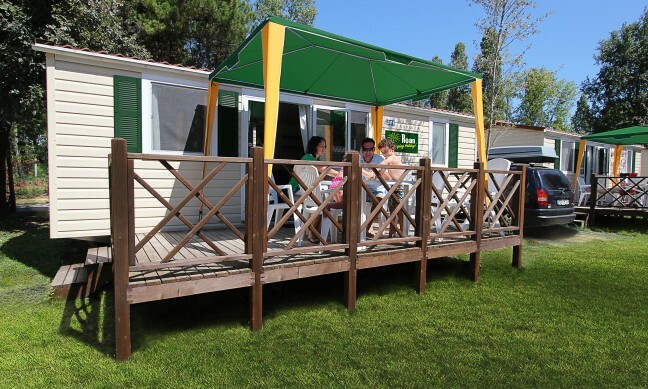 The sun terrace is large and equipped with sunbeds and umbrellas and there’s also a hot tub. Activities and games are organised in the pool area, including daily aquagym. 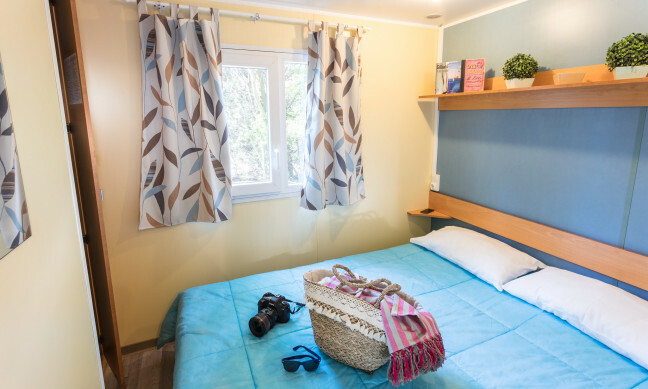 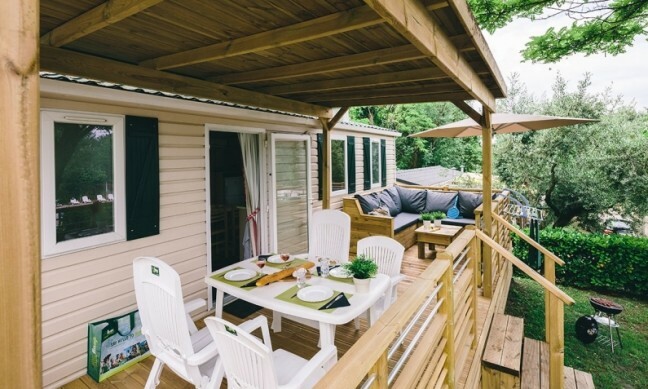 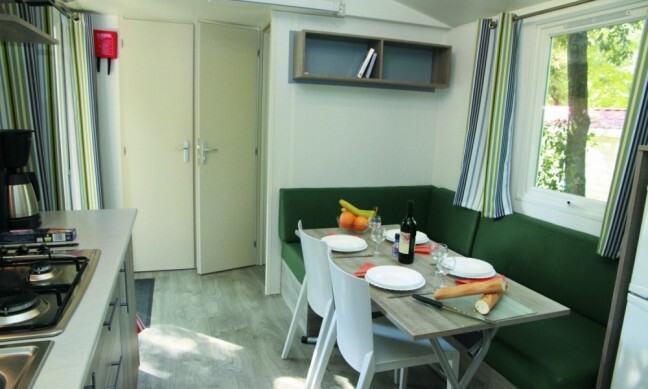 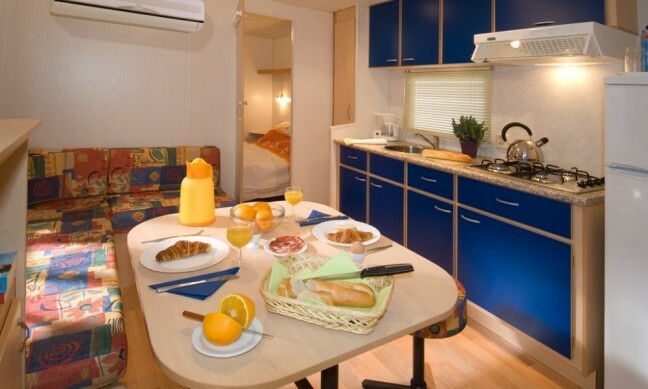 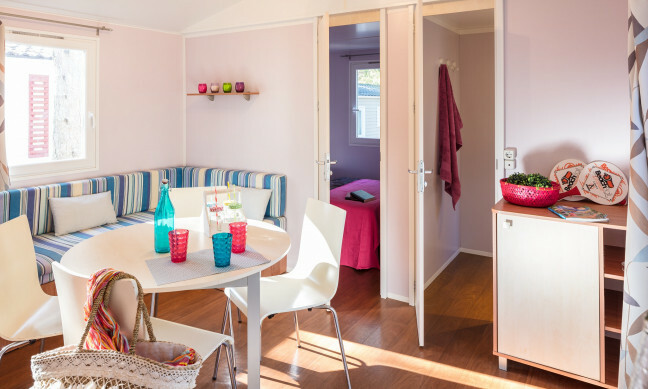 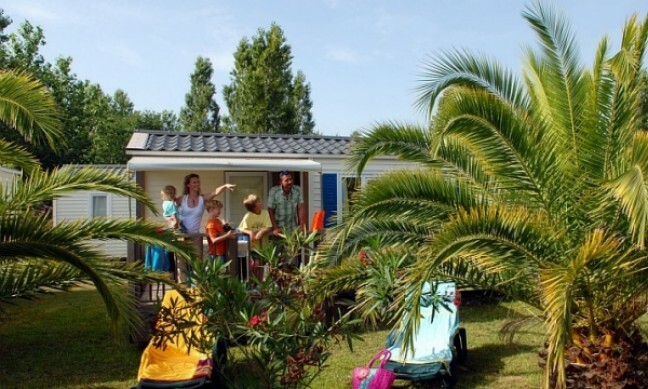 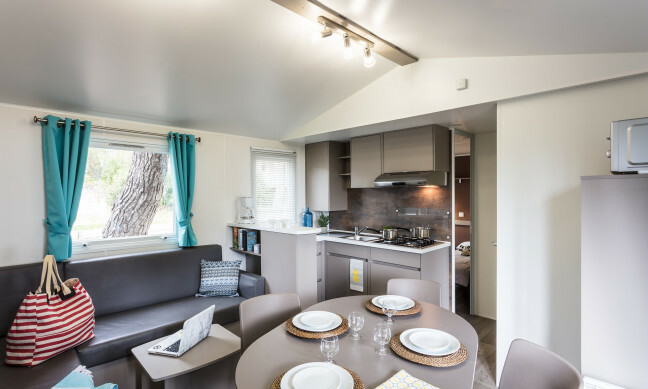 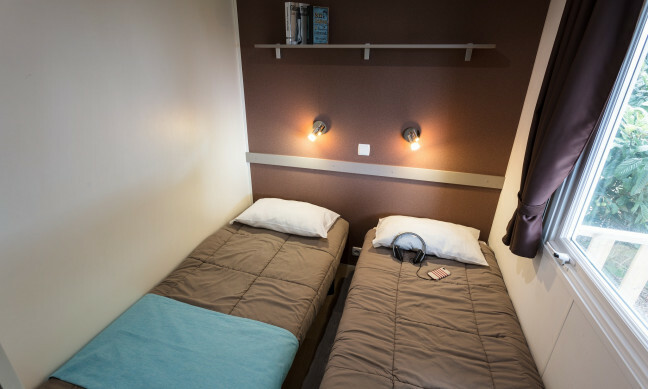 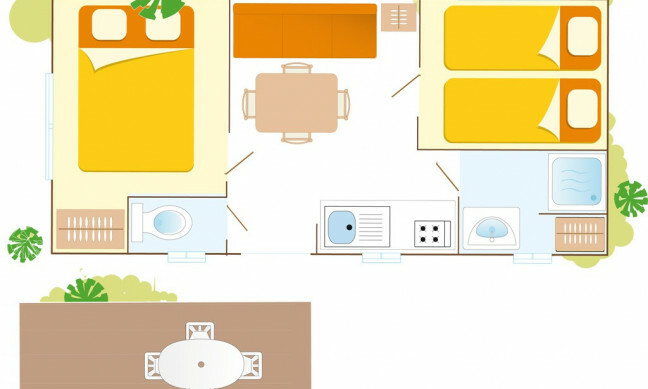 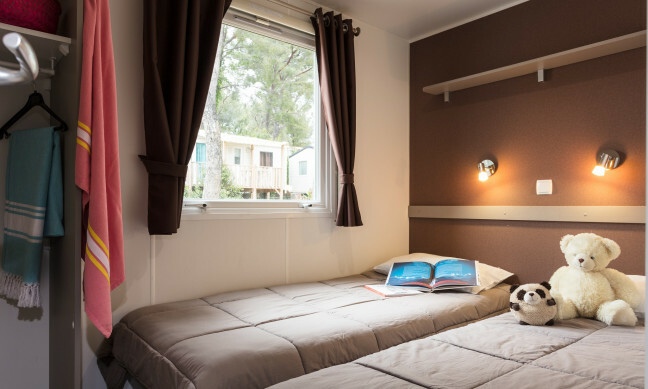 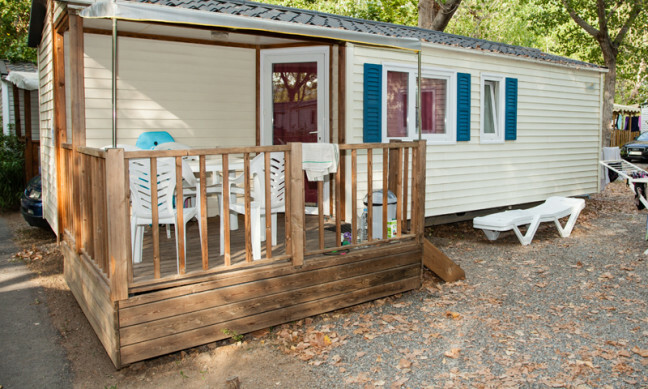 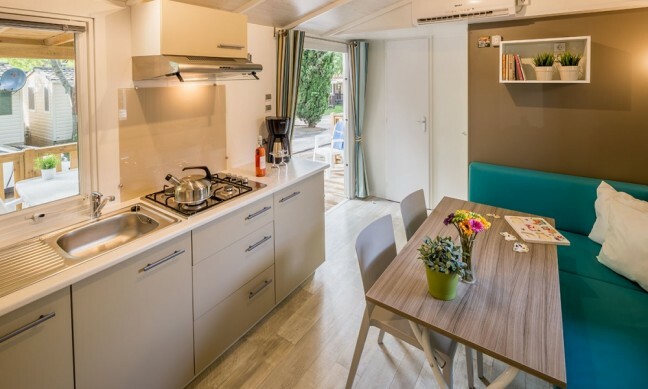 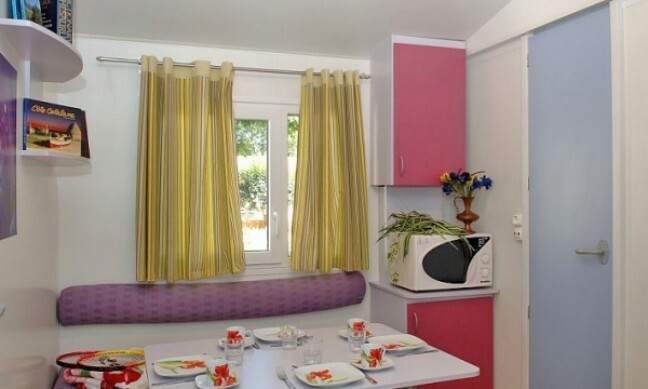 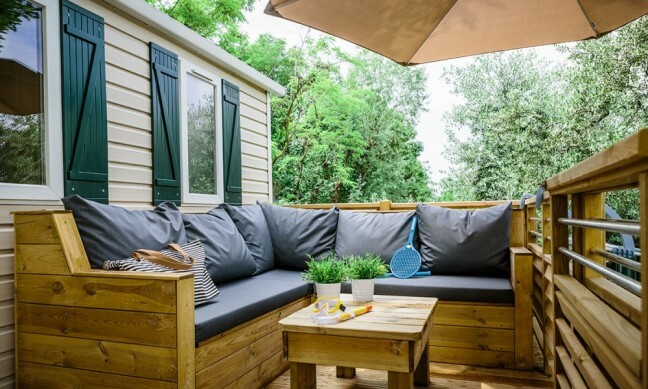 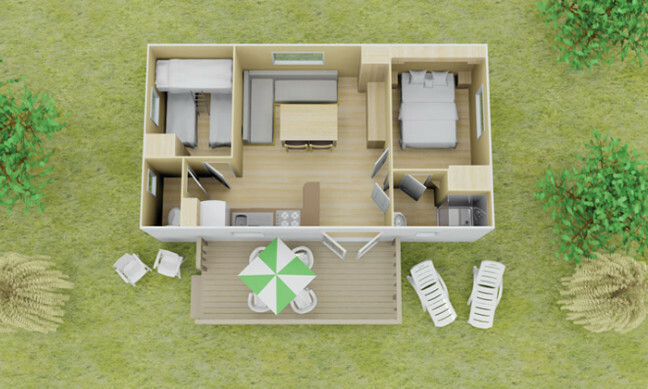 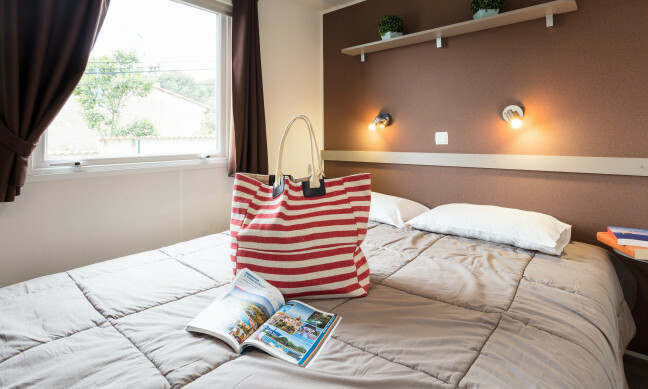 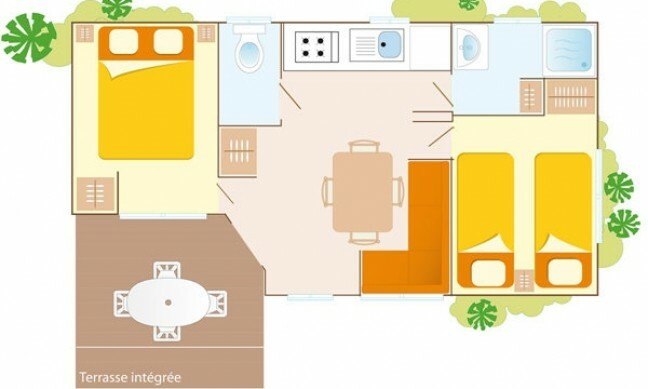 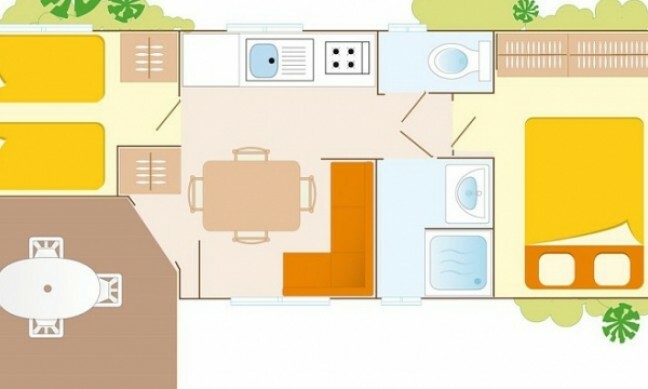 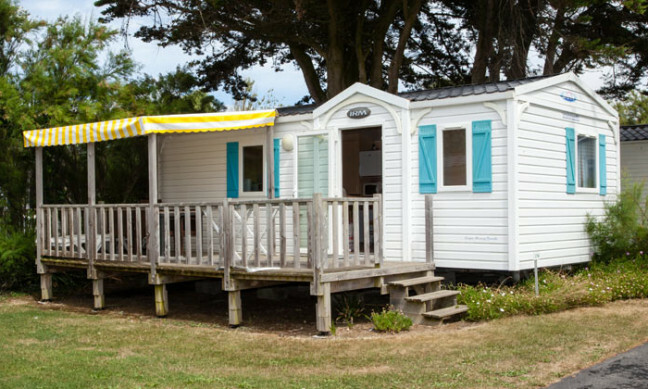 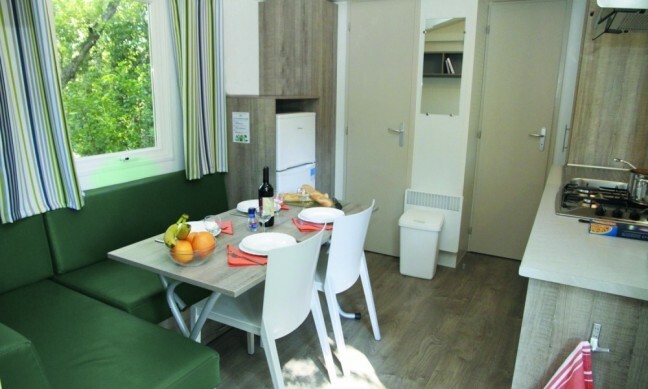 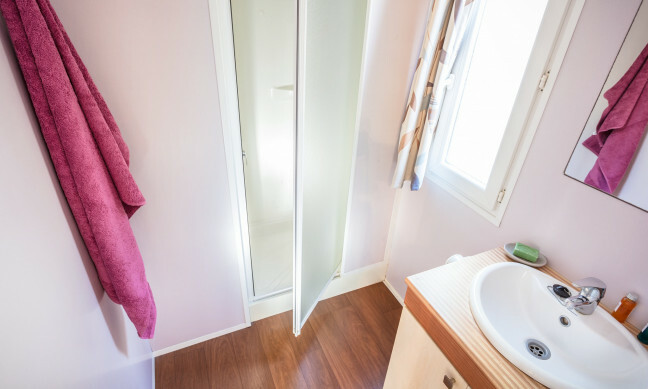 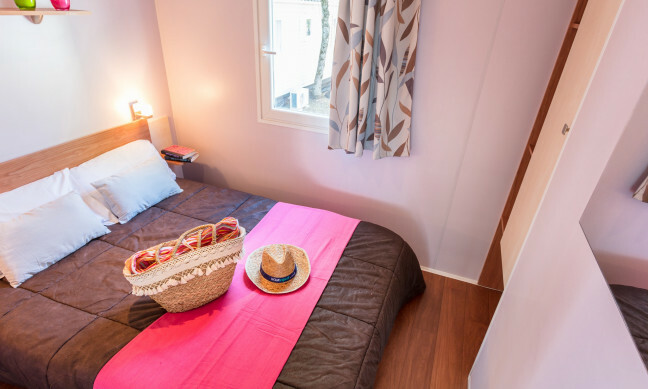 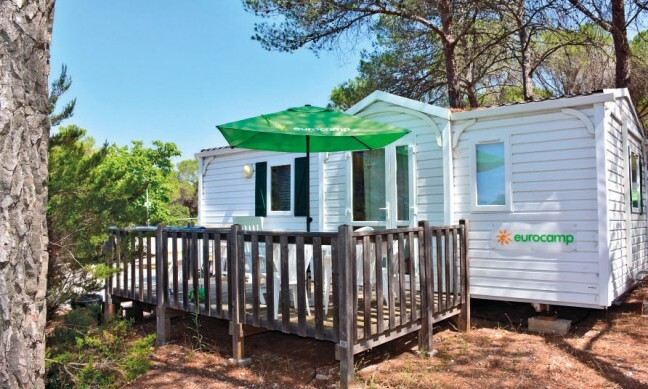 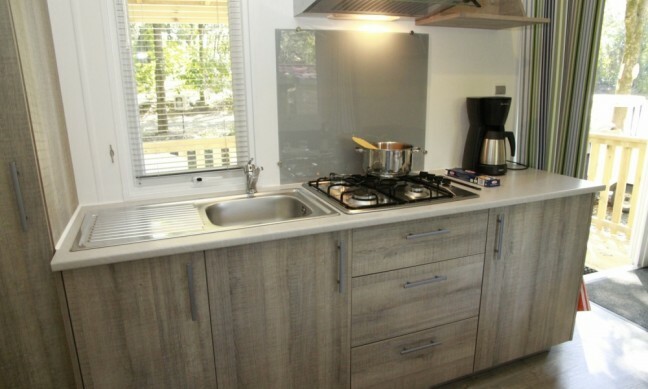 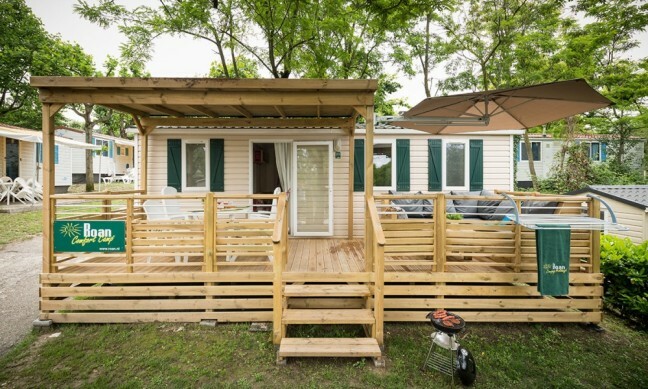 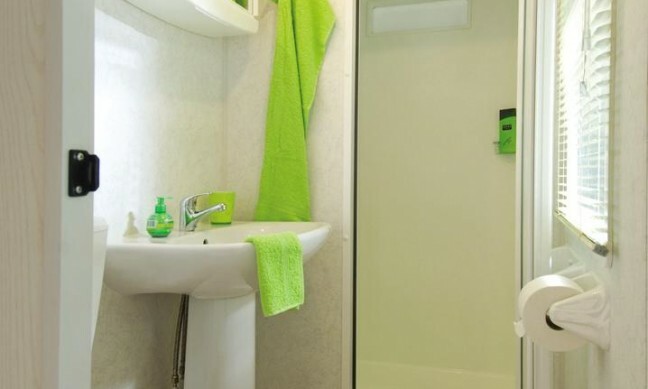 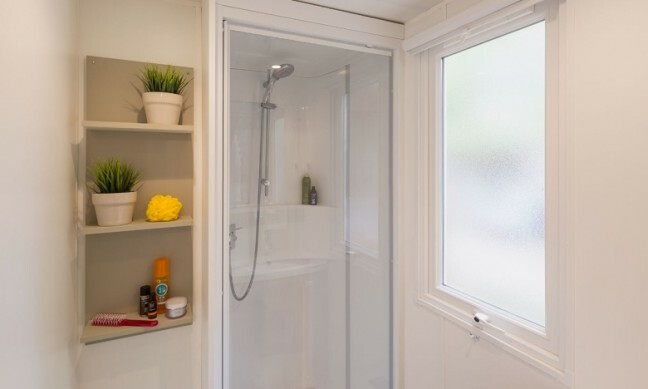 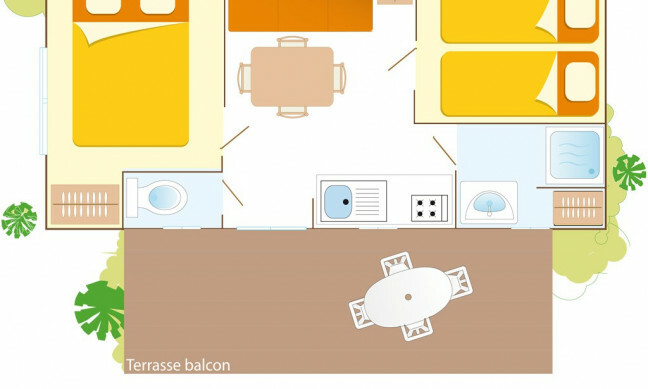 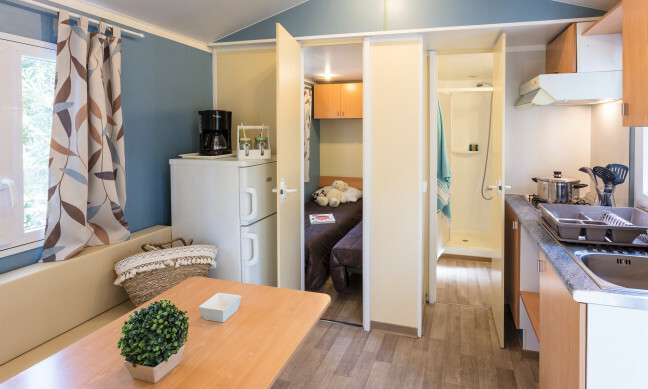 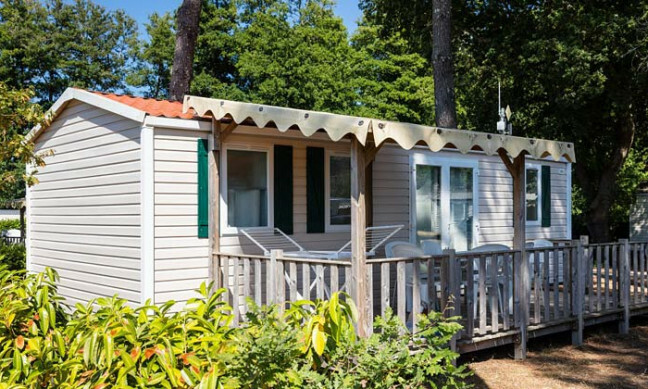 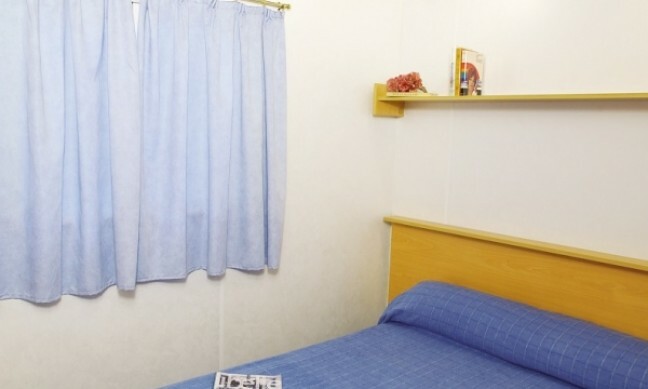 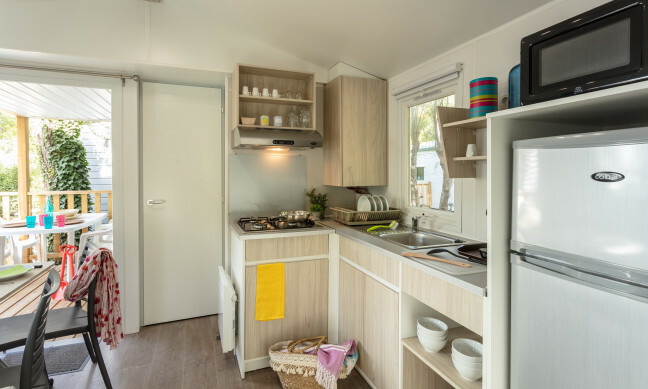 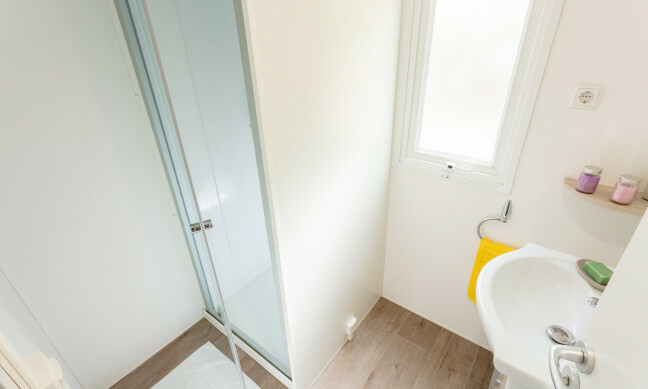 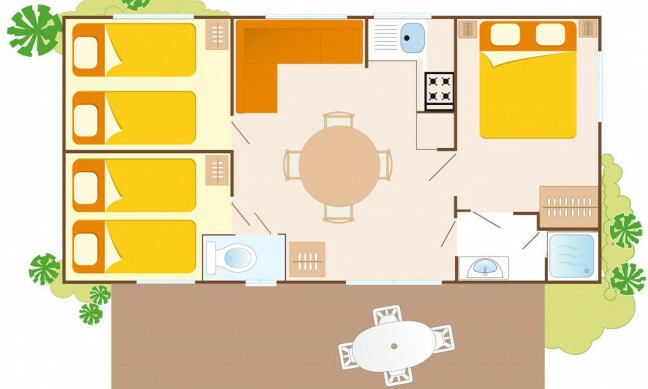 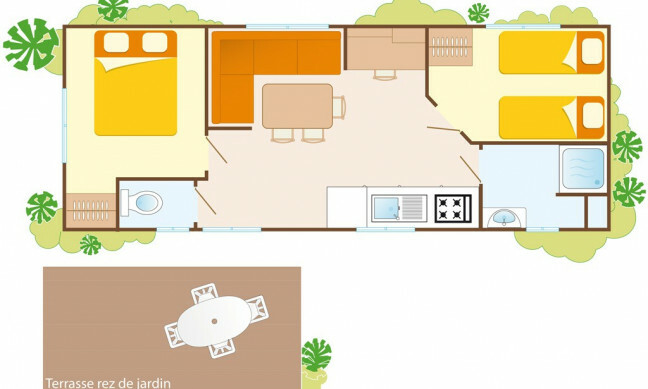 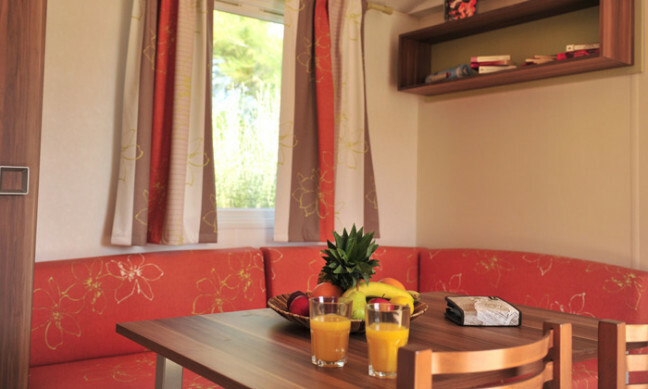 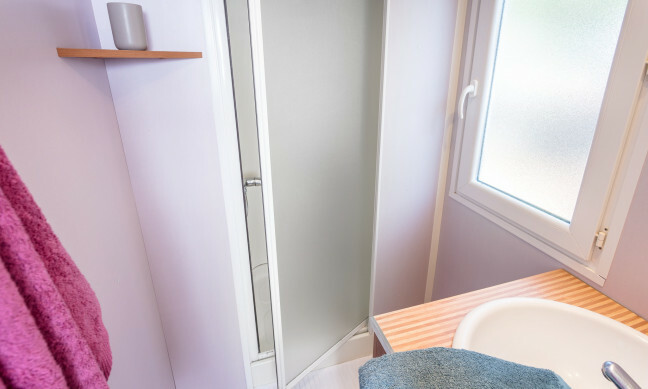 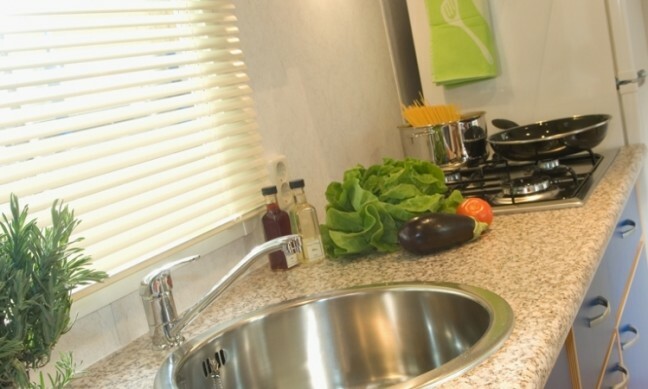 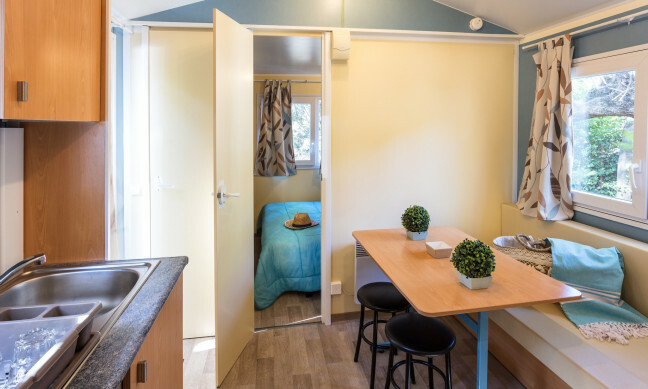 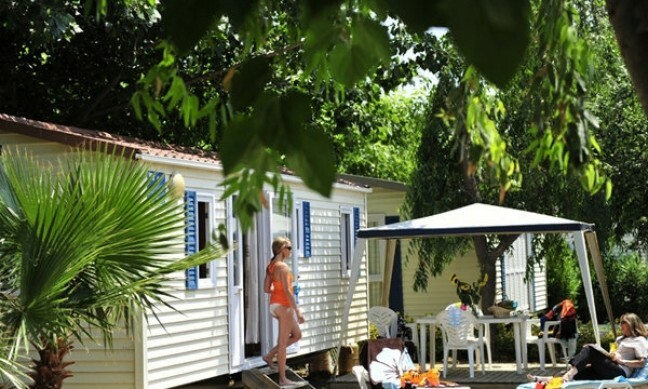 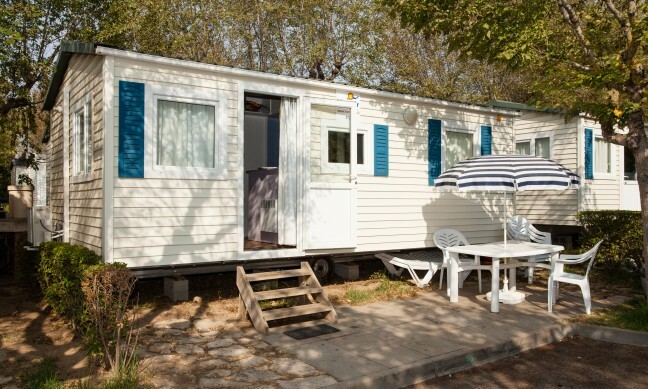 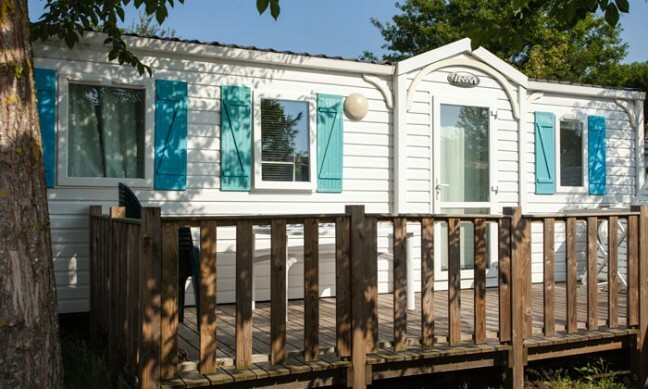 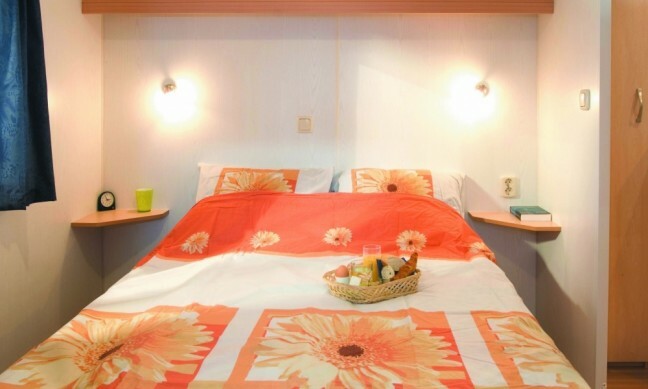 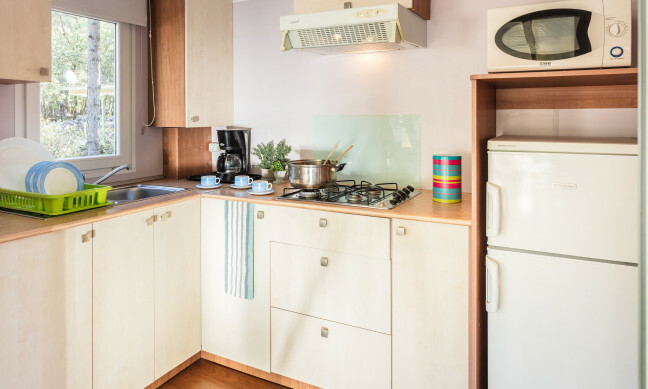 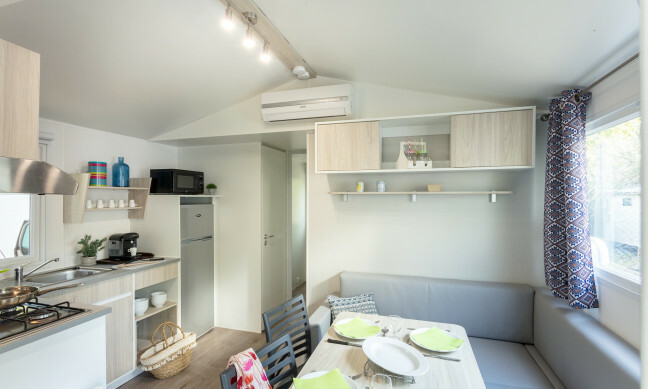 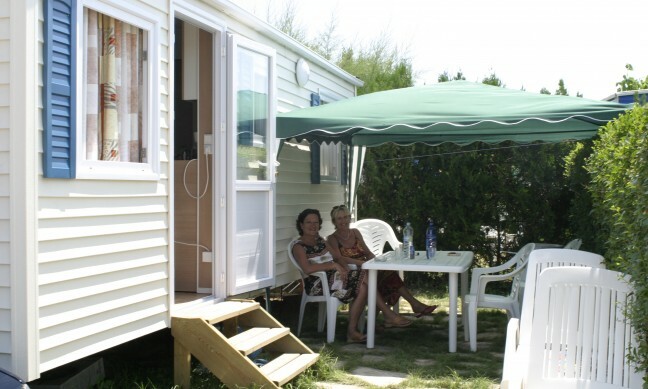 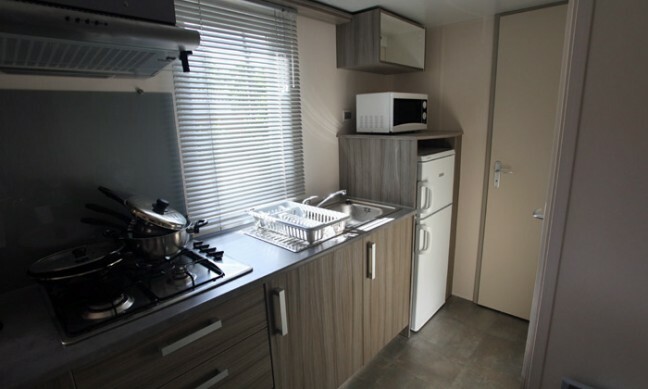 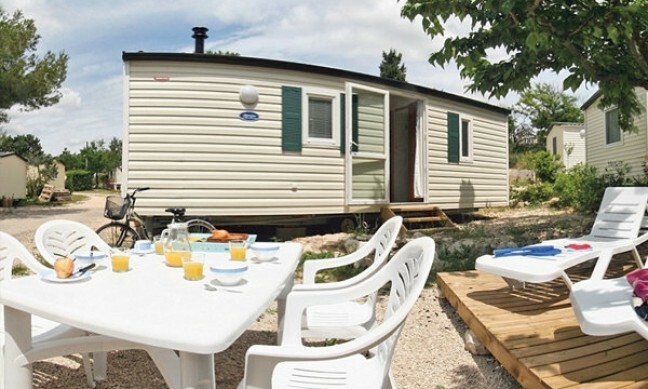 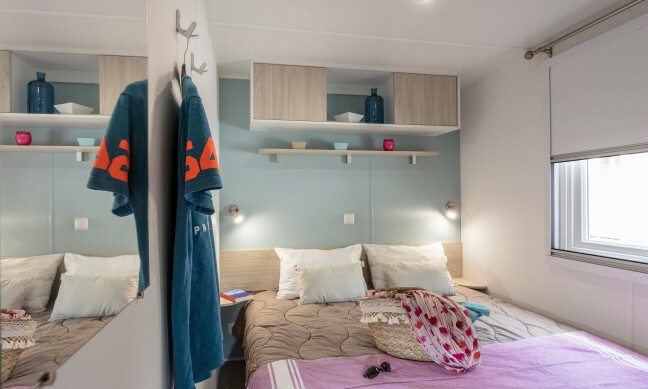 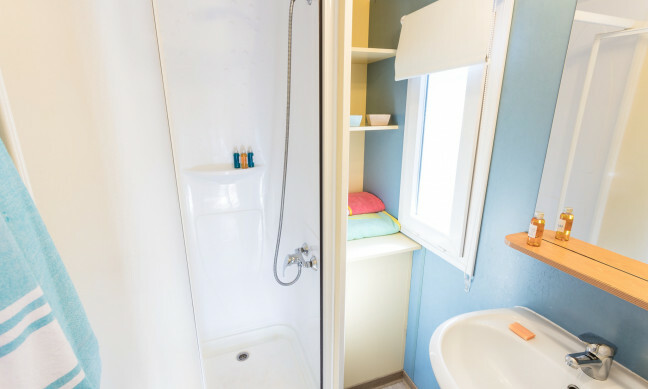 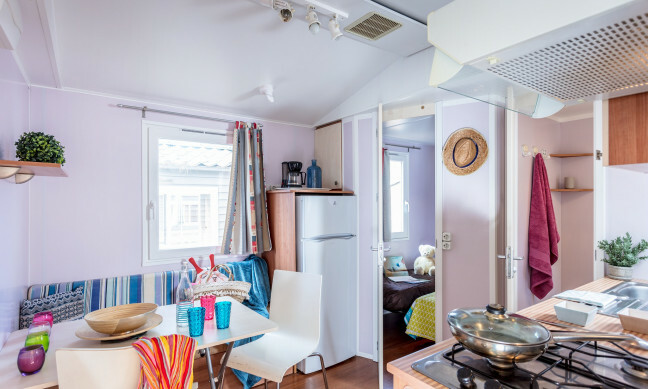 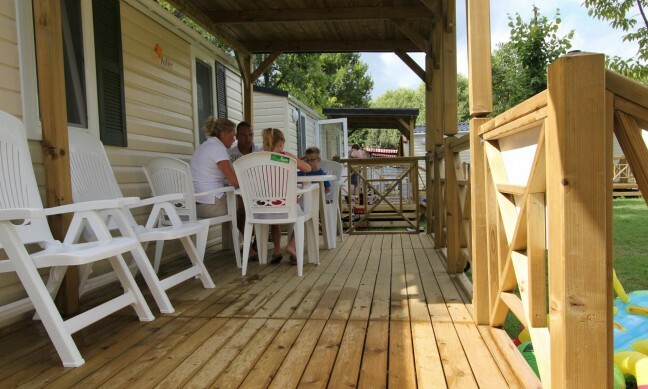 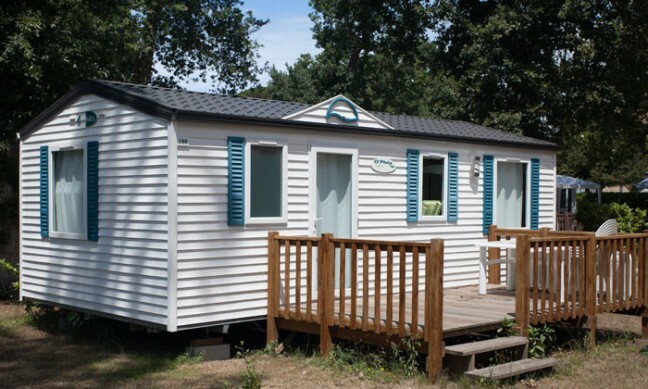 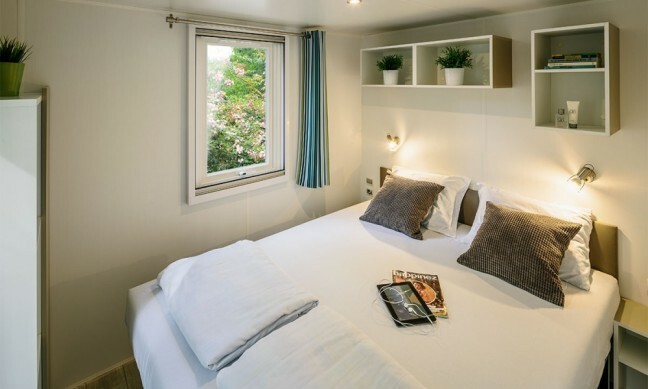 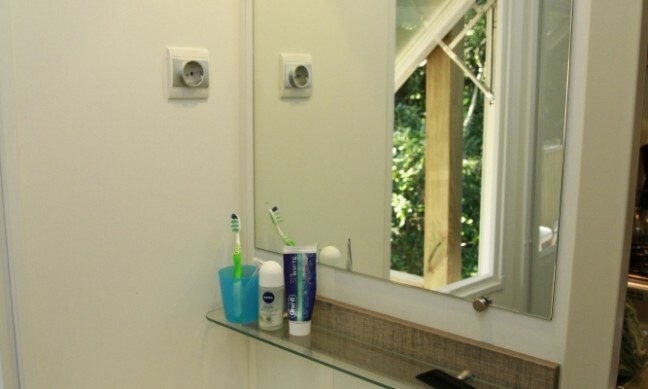 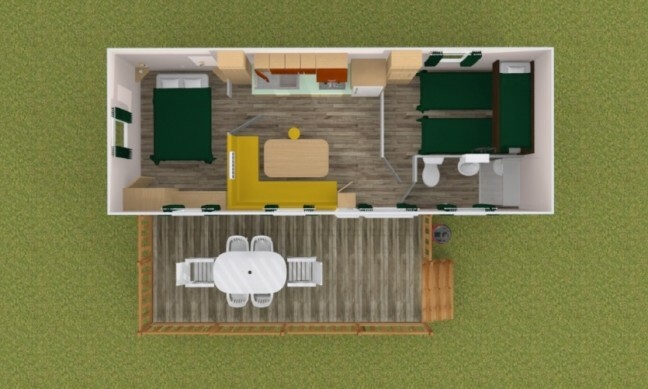 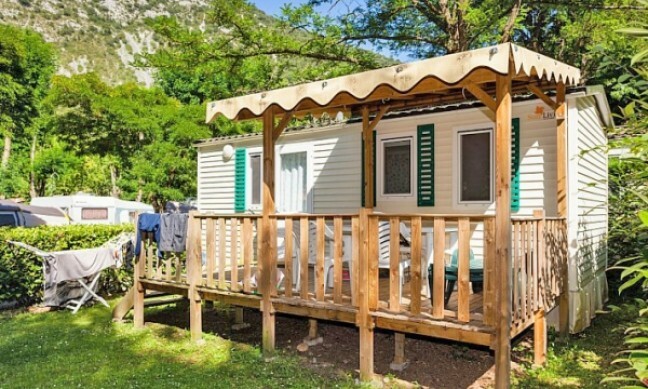 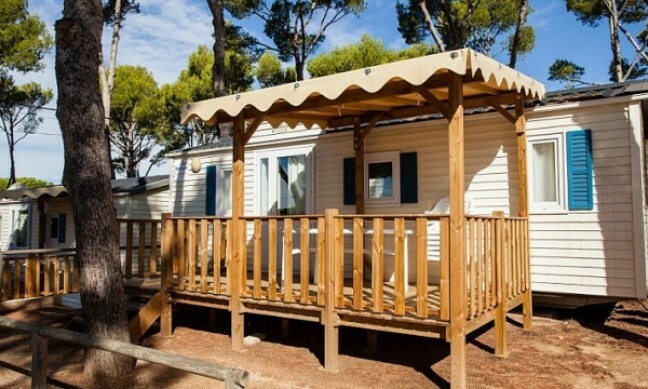 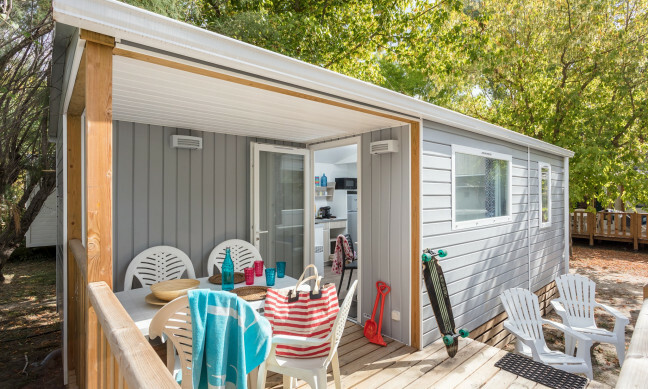 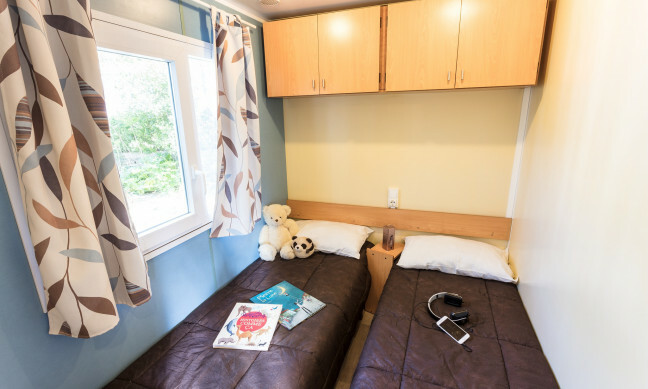 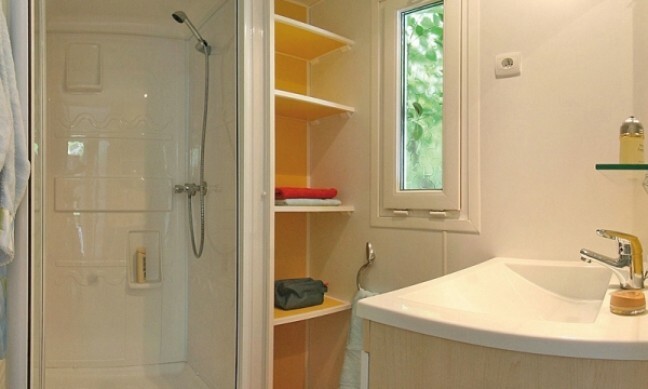 For French camping holidays and mobile homes, Allcamps makes booking easy and when you choose Les Sablines, you enjoy luxury camping with a host of amenities and services. 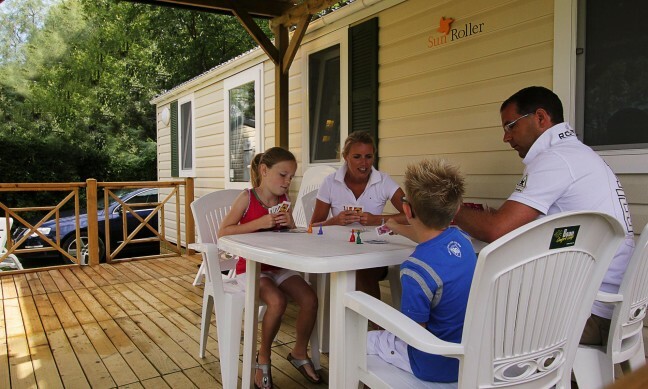 Daytime entertainments include the water fun in the aquatic area, pétanque, football, volleyball, basketball, billiards and table tennis. 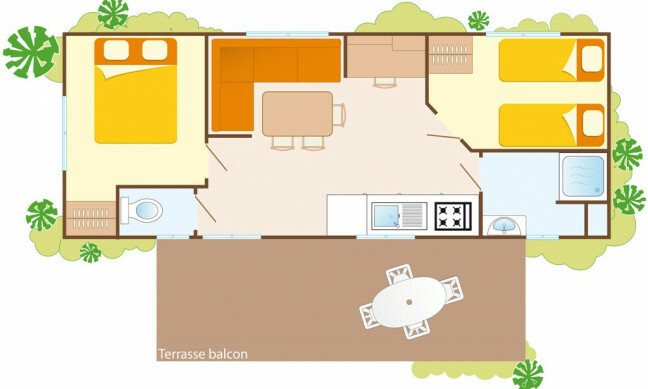 There is also a video games room, TV room, and fitness classes. 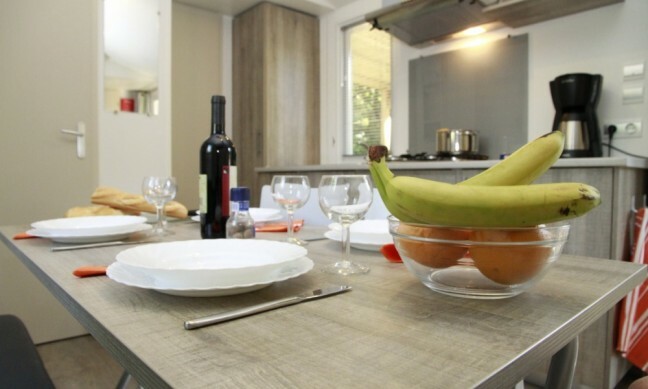 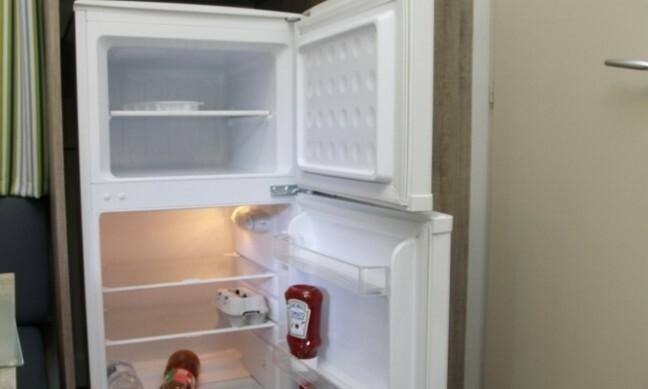 The camp has a grocery store and bread deliveries, a restaurant, take-away service bar and snack bar. Bikes are available to rent. 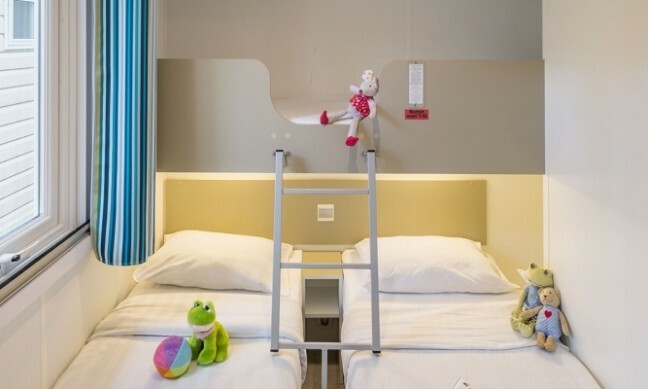 Younger members of the family can join the kids club. 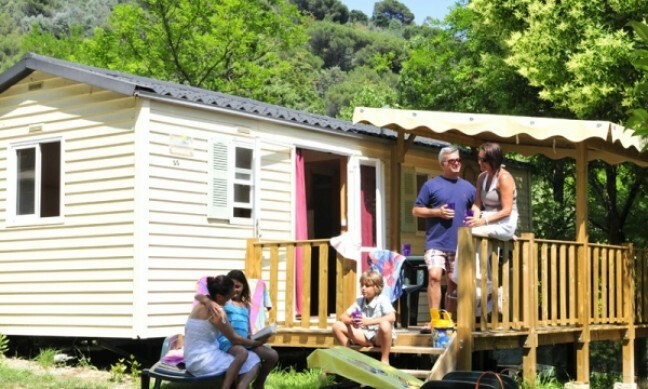 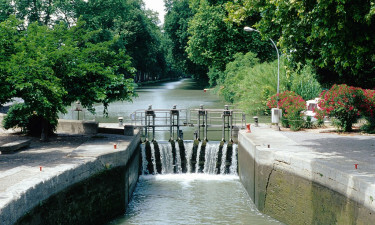 The area around Les Sablines is full of camping holiday fun. 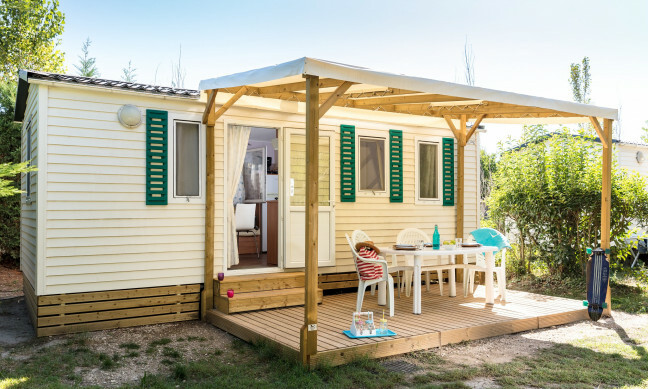 Sporty types will love the countryside and outdoor activities which includes sailing, fishing, diving, and golf as well as hiking and cycling. 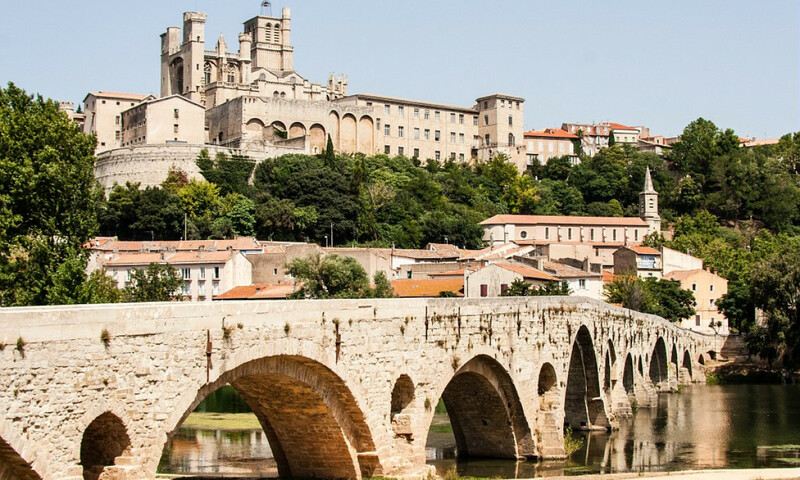 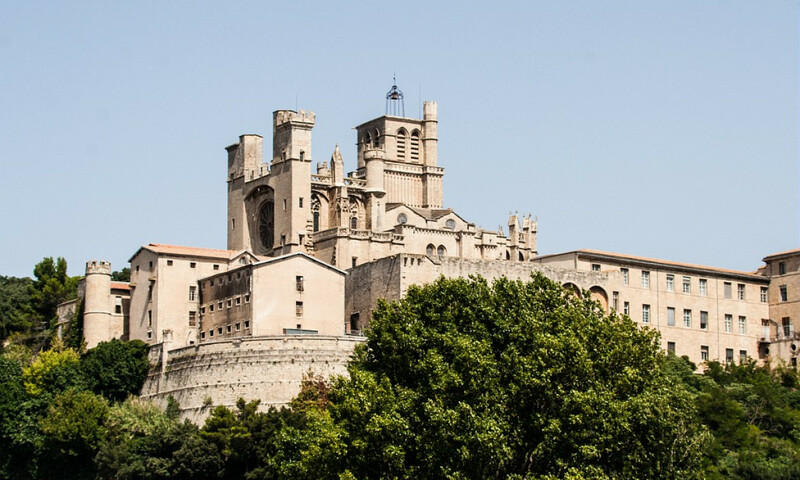 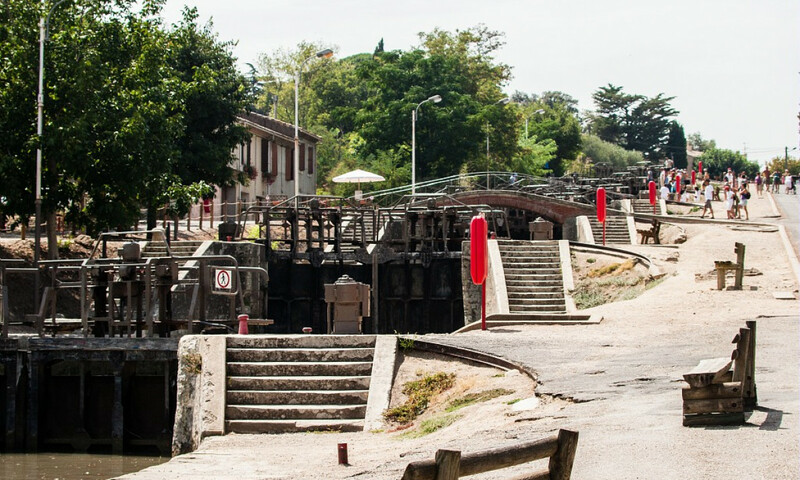 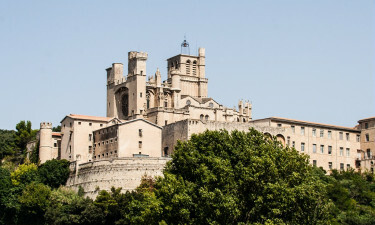 Culture lovers can immerse themselves in little towns and villages full of history, along with art and architecture, such as the Narbonne Horreum.